The Cutting Board collaborates with some of the best talent in the film/video industry. 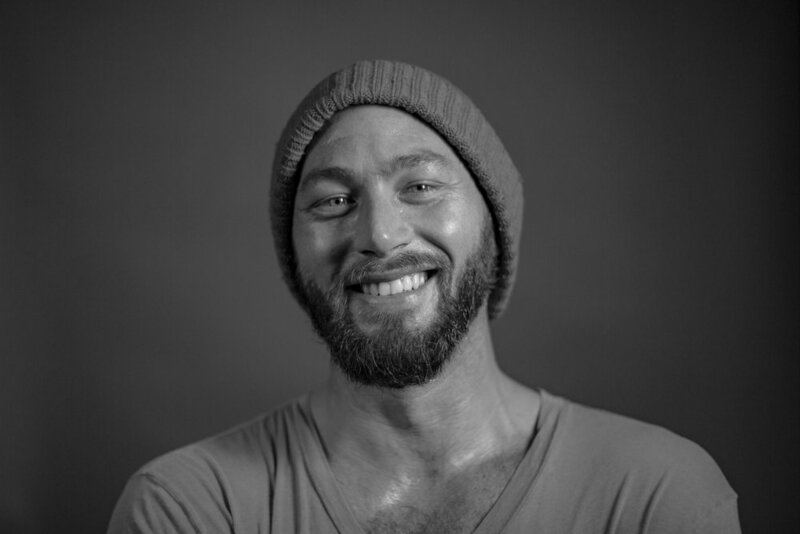 As a director and cinematographer Jeffrey has over 12 years of experience in the industry working on a range of projects including documentaries, commercials, branded content, and scripted film. He co-founded The Cutting Board in 2009 with a focus on creating a strong network of like-minded creatives that could work together to make thoughtful, engaging stories. His work as a cinematographer has taken him around the world to follow a wide gamut of issues but recently he has chosen to cover human rights stories closer to home. From 2014-2017 Jeffrey was the Director of Photography for two-time Academy Award winner, Sharmeen Obaid-Chinoy and Trish Dalton on their feature documentary, Student Athlete, following the stories of amateur athletes in the United States. Executive produced by LeBron James and premiering on HBO October 2018. Currently Jeffrey's work includes lensing a documentary about transgender healthcare in New York (Dir. Tania Cypriano) and 2nd Unit cinematography for An Act of Worship (Dir. Nausheen Dadabhoy). We are a motley crew of rebel rousers and free thinkers. By design The Cutting Board does not have employees. Our team is a collection of trusted independent contributors who fold in when the projects get big and explore the world when the job is done, the client is happy, and we're all proud of what we accomplished together. Scott has been working in the film and TV industry for over 15 years. He began as a cinematographer working largely in documentary and reality TV. In 2009, after being given the chance to produce a scripted pilot for Spike TV, Scott started working as a producer/director. Since that time he has completed projects for a variety of high-profile clients working in documentary, scripted television and film, and most recently, branded web content. In addition to being an active filmmaker, Scott has taught film production at schools such as Northwestern University, The School of the Art Institute of Chicago, and Columbia College Chicago. He is currently working to adapt a short story that appeared in the New Yorker. You can view Scott's website here. While studying documentary filmmaking at CUNY Hunter College Julia assisted award-winning filmmakers Kelly Anderson and Martin Lucas on the textbook, Documentary Voice & Vision: A Creative Approach to Non-Fiction Media Production. In 2014 she graduated with honors and quickly began working as an Associate Producer on an HBO Sports documentary directed by two-time Academy Award winner Sharmeen Obaid-Chinoy (premiering fall of 2018). Currently she produces and directs on the documentary series FIELDWORKS for the Brooklyn-based nonprofit, A Blade of Grass. You can view Julia's website here. Sean’s film and logistics career started in 2004 as a Reconnaissance Marine collecting intelligence in Iraq. After his combat service, Sean went on to earn multiple degrees in film and audio engineering. In 2016, he created the award winning stop motion music video “Hunt” for Australian Psychedelic Rock band Timber Bones. He has produced content all over the world with foreign and domestic teams. Additionally, Sean has put his military tempered logistics to use collaborating with charities and NGO’s on a number of humanitarian operations including “It Ain’t Nothing”, where he managed a campaign called 505050 after Super Typhoon Yolanda hit the Philippines. Tânia has been working between the United States and her native Brazil for over twenty years. Her films and videos have won international awards including Best Documentary at the Joseph Papp’s Festival Latino in New York, the Pan African Film Festival in Los Angeles, and Fespaco in Burkina Faso. They have also been shown around the world in places such as the Museum of Modern Art in New York, Hong Kong Arts Center, the Jerusalem Film Festival, the Amsterdam Documentary Film Festival, and the Berlin International Film Festival. She has also been a grant recipient of the New York State Council on the Arts, the New York Foundation for the Arts, the Soros Documentary Fund, the Jerome Foundation, Experimental Television, and the National Latino Communication Center. You can view Tânia's website here. Mike is a director/producer who has worked extensively on both narrative and commercial projects. After starting his career as a music video director and editor, Mike began to produce short films. Before teaming with TCB, Mike was the Sales & Marketing Manager for a large commercial production studio and handled new business development. Currently, Mike is producing a comedy web series that's based on his former life as a touring musician as well as documentary about boxing rabbi, Yuri Foreman. As a director Ben’s work has been called “beautiful and sad and remarkably personal”, “conceptually killer”, and has played to acclaim at festivals such as Clermont-Ferrand, Raindance, DC Shorts, and Film Independent’s Cinema Lounge. Of note are Somewhere Never Traveled which played at 16 festivals worldwide and claimed “Best Experimentation” at the Gotham International Film Festival in NYC, and LUV U, which was released directly online, garnering nearly 20,000 views in 24 hours, as well winning Best Drama at the TAC Tiny Film Festival. In development are Bushwick, an experiential visual documentary of the popular and sometimes controversial Brooklyn neighborhood, and an untitled fiction feature set in a Brooklyn amidst a real estate war and growing racial, economic, and sexual tensions. You can view Ben's website here.